Razer has unveiled the Arena, a software that helps gamers create matches and track game statistics. It features Razer Comms support, match reminder notifications, and also cheat detection. 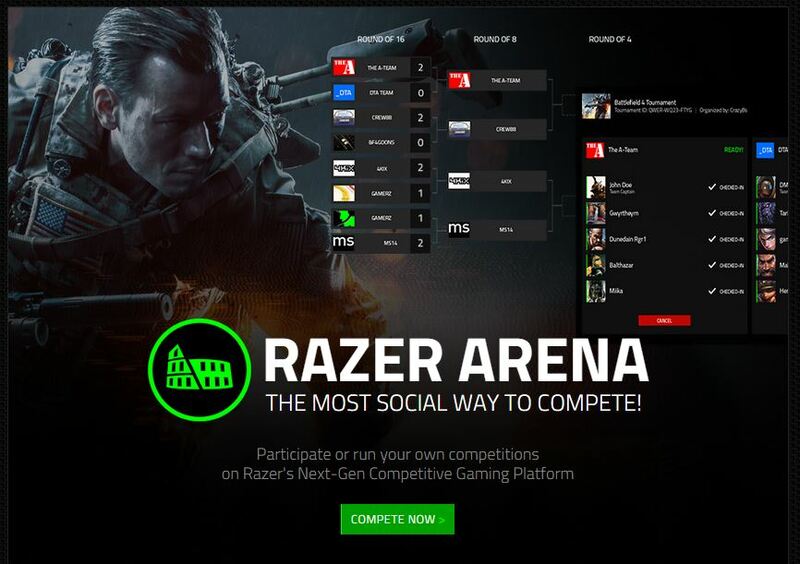 There is also the Tournament Administration feature which lets gamers create their own competitions. The Razer Arena Gaming Platform introduces an alternative matchmaking service to current platforms and integrates with existing titles; however, it currently only supports three games – Dota 2, Counter-Strike: Global Offensive, and Battlefield 4. Team Fortress 2 is mentioned in the FAQ one of the currently supported games but it doesn’t appear on the main page for some reason. For those who are busy or have time management problems, the software has a feature that sends match reminder notifications to players, reminding them that a match is due soon. Additionally, if the cheat detection systems implemented by Steam and Origin are not enough, Razer Arena adds an additional layer of cheat detection to give gamers a fair chance and prevent players from using cheat codes, bots, or trainers during matches. The Tournament Administration feature allow players to create and organise their own competitions. It is still under development but that being said, early adopters can apply to join the Beta program here, to try it out and provide feedback. Players need a Razer ID to register for the beta program and they can link their Razer Comms ID (if they have one) to enable chat and voice features. This allows gamers to strategise game plan with teammates or even taunt their opponents. CS:GO players are in luck as Razer Arena will be organising a kickoff tournament on the 31st January to 1st of February 2015, with the Dota 2 tournament commencing on the 7th and 8th of February, and the Battlefield 4 tournament on the 14th and 15th of February. Players who have a team ready can join here for a chance to win USD$500, but they should take note that there are only 32 slots for each of these three regions – Asia, Europe and North America.